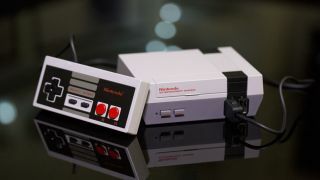 The NES Classic Edition was one of the hottest gadgets of 2016 and remains in popular demand in 2017, but Nintendo's officially licensed nostalgia box is limited to the 30 games that come pre-loaded on the mini-console. That's not enough for modders in Russia who have been adding new titles with the help of USB cables and software downloaded from the web. If you want to try the same hack yourself then there are video instructions online. Gamers report successfully adding the likes of Metal Gear, Battletoads, Teenage Mutant Ninja Turtles II, Bucky O'Hare, Bionic Commando and Mega Man. Nintendo classics including Final Fantasy, Donkey Kong and Super Mario Bros. are already pre-loaded. Before you dive in and start trying this for yourself, remember this is certainly not a process approved by Nintendo: you risk permanently bricking your device and you're in some pretty gray areas legally as well (although the modders do link to a couple of NES games ROMs that are open source and legal). You don't need to open up the NES Classic Edition or start writing code to get this done, but it's not exactly a simple process. You need to connect the box to a computer and install some custom-made software packages through a less-than-friendly set of interfaces, just as you would if you were flashing a phone. We'll have to wait and see what Nintendo's response will be but it certainly won't be happy and may try and crack down on modding activity. It might also prompt the company to release more game pack options for the NES Classic Edition through official channels.